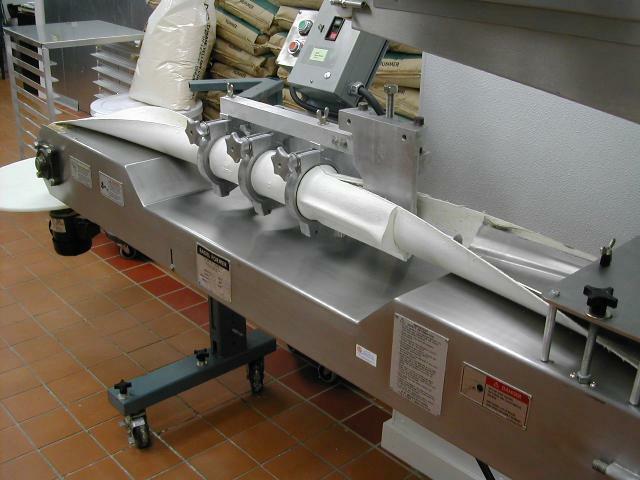 This bagel machine has a new belt, mandrel sleeve, and forming tubes for a bull bagel. 240v 3ph 60hz AM Manufacturing, the company that pioneered the bagel industry, is proud to introduce the Model RK2200 Series II Rotating Knife divider-former combination. Possessing a scaling range of 1 to 7 ounces, this unit enables you to accurately divide and form up to 4800 bagels per hour depending on size. Easy clean-up and maintenance are only two of the many outstanding features of this model. Made in the USA and designed with rugged reliability in mind.